This is a picture of Herman's Uncle George with his dog Spike on February 14, 1969. 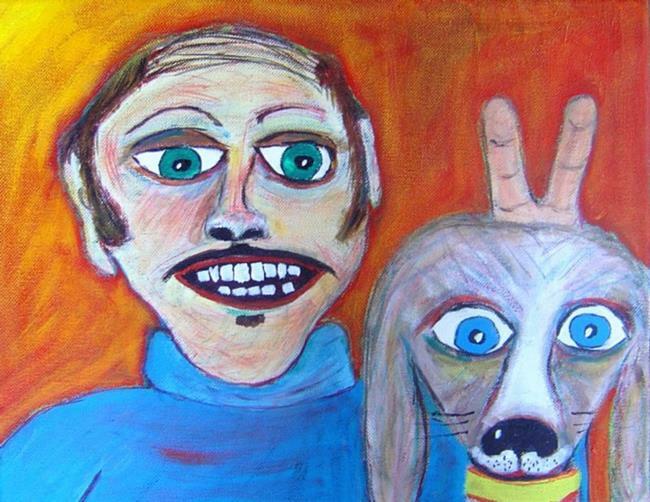 Uncle George had a professional portrait done of him and Spike every year on Valentine's day, which he sent to his closest friends and family members. Spike enjoyed the ritual until he realized he was the brunt of George's cruel sense of humor. Spike left George to live on a commune in Northern California.